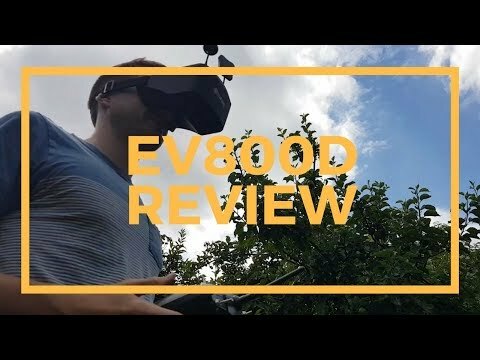 Why i only get 10 minutes of flight time from EV800D? It restarts nearly every 5 minutes and the akku ist empty really soon. The monitor restarts more often when an SD-Karte is inserted. Wish it was my first goggle! What about rotation function? The quality of the product is high! The product corresponds to the description, the complete set is complete. Checked. Works great! The picture is clear! DVR is working! The quality of the product is high. Highly recommend. Fast shipping, came in great condition, very comfortable and very easy to use. If u are reading this and u are trying to figure out what goggles u should get.this is the best beginner goggles u will find for your money. Great picture easy to navigate through good price point . my friends get these to start with you will be pleased. Great Picture, Diversity Receiver with DVR! Great Value! Only negative is the goggle battery indicator is not accurate, it gives a lower voltage than what the battery actually is. Plenty of ways to fix that at home so, I say BUY IT!